Kodak Least Reliable – Nikon Most Reliable? Another factor that could play an important part in these figures is the length of the manufacturers warranty – for example Nikon, Olympus, and Casio offer a 2 year warranty on all digital cameras which means you are more likely to have the camera repaired under warranty than a camera with a 1 year warranty. 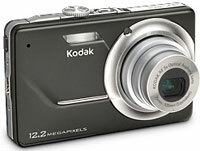 Canon, Sony, Kodak, Samsung, Fujifilm, Panasonic, and Pentax only offer a 1 year warranty, and for a number of these, particularly Kodak cameras, the damage is due to a faulty lens – which is often difficult to prove as a manufacturing fault rather than caused due to the camera being mistreated. Another consideration is the type of camera sold, for example, Kodak and Samsung sell at the cheaper end of the price range, while Nikon sell a lot of DSLRs. As part of our relaunch we are giving away some prizes! The second prize is the Samsung ES15 (worth £59) complete with everything you need to get started: a 2GB SD card, rechargeable AA batteries and charger, and a case! 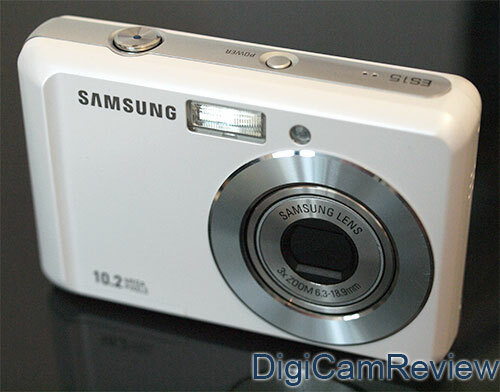 The Samsung ES15 is a compact 10 megapixel camera with a 2.5″ screen, 3x optical zoom lens, and stylish white body. 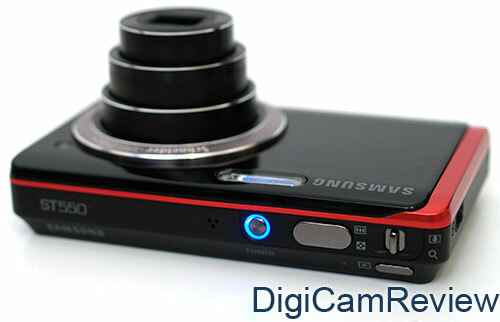 The winner of the Samsung ES15 package is… Andrew Lowe who left a comment on DigiCamReview! If you didn’t win we’ve still got the following prizes to give away! If you want to win, simply tweet this post* / post this on facebook* / post your photos to the DigiCamReview Facebook page, leave a comment below, or subscribe to our newsletter. 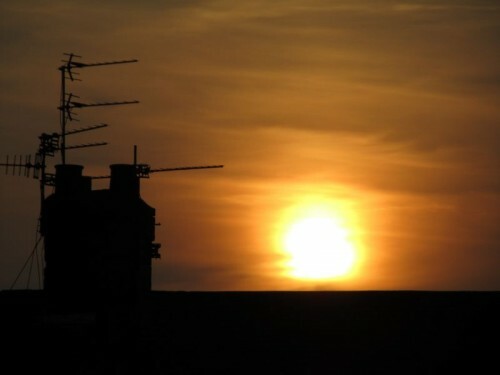 If you have any feedback on the new site, or find any problems then please contact me. If you follow us using RSS – please update your feed! So if you don’t win this time, keep checking back for details of the next competition. * Easy links below – Please mention me in your tweet so I can see your tweet! If you are a Canon EOS owner, then please let me know so I can send you the EOS DVD. Amazon UK are selling the Samsung ST550 in black for only £169. 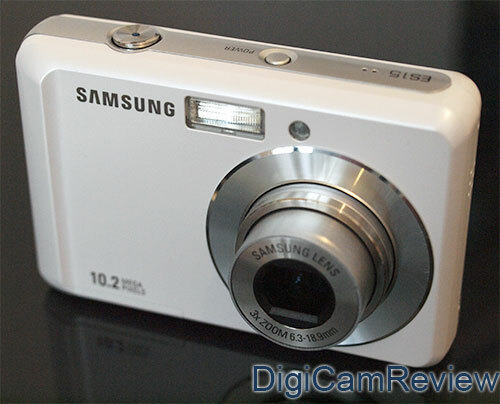 The Samsung ST550 features dual LCDs – a touch screen at the back, and a 1.5″ screen at the front for self-portraits etc. The ST550 features a high resolution 3.5″ 1,152k pixel touch screen, a 12 megapixel sensor, a wide angle 4.6x optical zoom lens (27mm – 124mm), 720p HD video recording, optical image stabilisation, and 18.9mm thin body – read our review to find out more. You might also want to have a look at the Panasonic Lumix FS7 which is available for £115 (also available in Pink!). Also worth mentioning is the appearance of the Nikon D3000 with VR kit lens appearing in the bestsellers list at number 15 – priced at £335. We’ve just published our review of the new Fujifilm FinePix Z33WP – an ultra compact waterproof camera with a 10 megapixel sensor, 3x optical zoom lens and 2.7″ screen, the camera is available in numerous colours: black, blue, gold, pink and green, for £88 (in black) and takes SD cards (It may even be available for less from the Fuji Refurb shop) and is one of the cheapest all-in-one waterproof cameras – but is it any good? 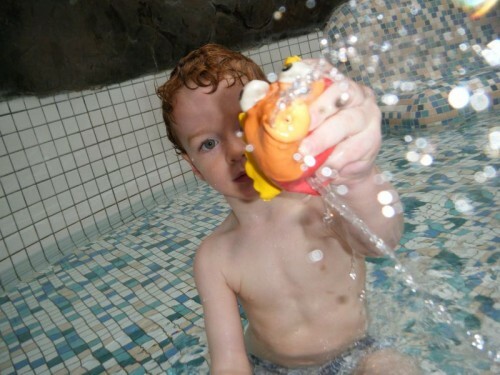 We’ve just uploaded sample photos from the Fujifilm FinePix Z33WP – the Fujifilm FinePix Z33wp is one of the cheapest waterproof digital cameras currently available and features a 10 megapixel sensor, 3x optical zoom lens, 2.7″ screen, is waterproof to 3 metres, and is available in a number of colours. 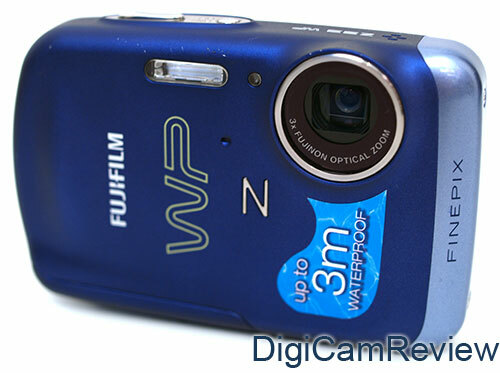 The Fujifilm FinePix Z33WP is available for £88 from Amazon UK. Samsung ES15 Review – Cheap but cheerful? 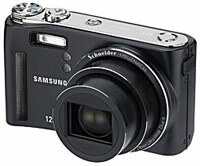 The Samsung ES15 is one of the cheapest digital cameras available with a REAL optical zoom lens, and currently undercuts most other manufacturers by roughly £20, priced at only £49-59. Occassionally it’s even been on special offer for only £39. This makes it amazing value for money, but price isn’t the only thing we need to look at, especially from our experience with with other budget cameras. The Samsung ES15 is available in a number of colours (white, silver, pink, black), and is part of the budget ES range (which includes a number of similar models: ES17, ES55, ES63, ES65 etc). It’s one of the cheapest cameras available, but is it any good? Amazon UK are selling the Samsung WB550 in black for only £139. The Samsung WB550 features a wide-angle 10x optical zoom lens (24 – 240mm), optical image stabilisation, a 12 megapixel sensor, 3″ screen, 720p HD video, SD card support, rechargeable lithium ion battery, and HDMI out. You might also want to have a look at the Panasonic Lumix FS7 which is available for £115 (also available in Pink!). Also worth mentioning is the appearance of the Nikon D3000 with VR kit lens appearing in the bestsellers list at number 10 – priced at £320. 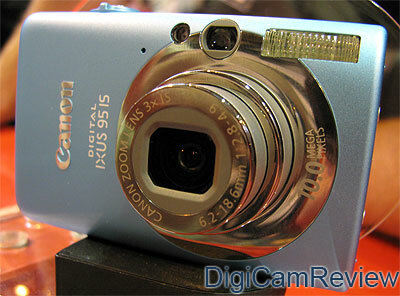 1 – Canon Digital IXUS 95 IS – 10mp, 3x zoom, 2.5″, Now only £99! Amazon UK are selling the Canon Digital IXUS 95 IS in silver for only £106. 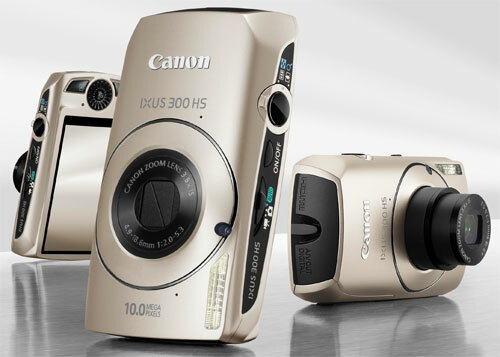 The Canon Digital IXUS 95 IS features a 3x optical zoom lens with optical image stabilisation, a 10 megapixel sensor, 2.5″ screen, optical viewfinder, SD card support, rechargeable lithium ion battery, and a compact body. You might also want to have a look at the Panasonic Lumix FS7 which is available for £115 (also available in Pink!). Also worth mentioning is the appearance of the Nikon D3000 with VR kit lens appearing in the bestsellers list at number 11 – priced at £339. 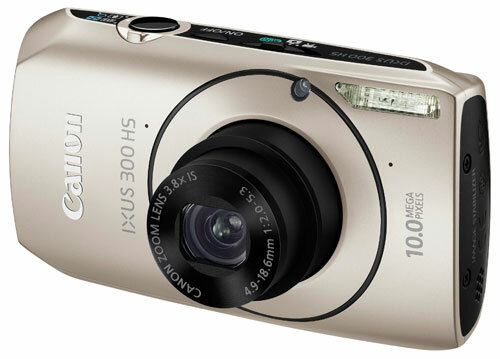 Canon has announced the new Canon Digital IXUS 300 HS / Powershot SD4000 HS – a new 10 megapixel camera it features a high speed CMOS backlit sensor, and offers 3.8fps shooting (full 10mp), 16:9 3″ screen, f/2.0, 28mm wide angle 3.8x optical zoom lens with IS, 240 fps movie at 320×240, ISO3200, 8.4 shots/sec stills (2.5MP), Smart Auto & Smart FE, 720p HD movies. HDMI, Aperture & shutter control, and Smart Shutter. It will be available at the end of May in silver, black, white and can be pre-ordered from Amazon UK.